A consortium of universities, private companies and government agencies are using a $10 million grant from the USDA to learn how to convert beetle-killed trees into biofuel. Scientists from the University of Idaho, University of Montana, Montana State University, the University of Wyoming and Colorado State University are working closely with local governments, the U.S. Forest Service’s Rocky Mountain Research Station, the National Renewable Energy Lab and the private Cool Planet Energy Systems. Together they have created BANR, the Bioenergy Alliance Network of the Rockies. Their project involves taking dead trees in federal and state forests and converting them into gasoline. They use a thermal-mechanical process to extract hydrocarbons from the wood. A process called fast pyrolysis burns wood in very high heat without the presence of oxygen. The resulting bio-oil is distilled and refined into gasoline. A key partner is Cool Planet Energy Systems, a Greenwood Village, Colo., company, that aims to “produce carbon negative fuels based on plant photosynthesis” to “remove CO2 from our atmosphere.” In fast pyrolysis, wood is broken down into cellulose to produce charcoal, a process that ultimately results in more carbon dioxide being put back into the soil than is released in burning the trees, the company says. UI’s Jay O’Laughlin, who leads the overall project’s policy and socioeconomic issues, is particularly excited about the project because he believes it will be a way to change decaying forestlands into something productive. 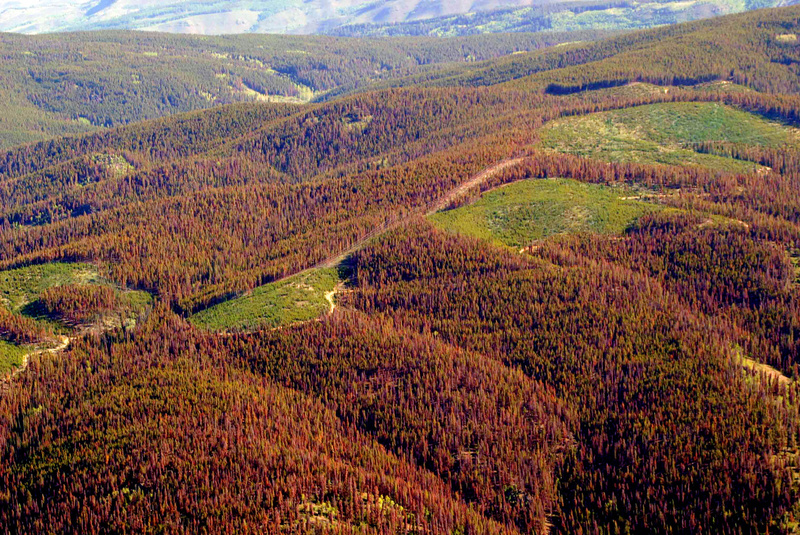 “Many of the dead trees in the land are weakened by drought and lack of water, continually eaten by bark beetles,” O’Laughlin said. When the trees are left to rot, they lead to forest fires. In 2012 alone, more than 9 million acres of forest burned in America. In the same year, Idaho had 1.7 million acres burned, more than any other state. “A dubious distinction,” O’Laughlin said.